Hire the top 3% of freelance market research analysts. Toptal is a marketplace for top market research analysts, experts, consultants, and professionals. Top companies and start-ups hire market research freelancers from Toptal for their mission critical projects. High-quality market research is a necessary tool to help startups find the right product/market fit and to help larger companies maintain it. This guide provides a breakdown of the key skills and attributes you'll want to see in a market research analyst. Toptal is a marketplace for top market research analysts. Top companies and start-ups choose Toptal finance experts for their mission-critical finance projects. Francesco has more than a decade of experience in finance, consulting, and business management. During this time, he has worked on 20+ projects as a consultant at Bain & Company and launched Uber operations in Turin, Italy. He also created the strategic plan for a large Singaporean education institute entering the European market. Francesco enjoys freelancing to help passionate entrepreneurs and investors maximize value. A Wharton MBA and CFA charterholder, Carolyn has managed a $700 million VC portfolio, executed 20+ VC/PE investments and exits, and advised Bain clients on growth and return strategies. She's worked with startups and corporates across China, Canada, US, and Australia in VC financing, investment management, strategy, M&A and business development. Freelancing allows her to choose the projects that best leverage her unique experiences. 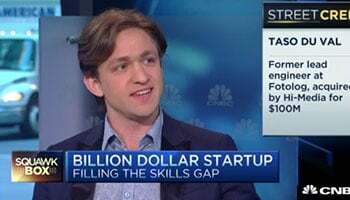 Josh is an investment banker turned entrepreneur who lives in Denver, CO. At Morgan Stanley, he covered the world's top hedge funds and sold over $5 billion in IPOs for companies like Alibaba, LendingClub, GrubHub, and more. He also has experience in M&A, startup fundraising, and launching two companies of his own. Currently, Josh freelances for entrepreneurs around the world and is the founder of Konvoy.co, an esports investing platform. Jesse is the chief investment officer of compound asset management, a technology-enabled real estate asset management platform. He has more than 15 years as an entrepreneur and financial professional with experience in transaction management, data analysis, platform-building, the preparation of business plans and marketing materials, and capital raising. He enjoys freelancing as it allows him to get involved in a variety of exciting projects. In Silicon Valley, Michael created pricing & cost models at a Mayfield/USVP-backed venture that sold for $185 million. He joined the Toptal network to work on challenging projects (pricing, performance analysis, etc.) alongside his other endeavors. He has worked with both large corporations at Bain and early stage firms in Silicon Valley & New York. While earning his MBA at MIT, he worked on banking deals at DLJ (Credit Suisse) worth $1 billion+. Over the past decade Chris has collaborated with investment banks including RBC, ScotiaBank, and Goldman Sachs and entrepreneurs alike. His creativity and passion have been enlivened since going freelance in order to realize his dream of living abroad. Chris routinely works closely with a range of clients that includes founders of pre-revenue companies and C-level executives at public issuers. William has launched, sold, acquired, advised, restructured, and invested in 40+ businesses, representing over $1 billion in value. He has worked with startups, Fortune 500 companies, and leading private equity and advisory firms including Blackstone, McKinsey & Company, Ernst & Young, and Morgan Keegan. As a freelancer, he enjoys helping a broader mix of clients execute their financial, strategic, and operational goals. As a finance executive, Wan Lung has executed $75 billion of M&A, equity and debt transactions. Over his 16 years of experience, he has worked in VC & PE and on Wall Street with Deutsche Bank and RBC, advising startups, growth companies, and enterprises. He has also developed his operational skills as COO of a media company. Freelancing allows him to engage with interesting companies and entrepreneurs. Companies find product/market fit (PMF) when a product creates value that directly meets an unaddressed customer need. You know it when you see it—demand rapidly outpaces supply, and a $0 word-of-mouth campaign quickly becomes the only acquisition channel necessary. This is the holy grail for entrepreneurs and the primary obstacle standing between a capable management team and explosive growth. Of course, finding PMF isn’t easy, and it isn’t a one-time occurrence. Once found, it’s a constant process of adaptation that relies on extensive knowledge of the market and a keen eye on the competition. Most companies conduct some market research, albeit informally; for example, by conducting customer satisfaction calls, or by checking out prices that competitors charge for similar products and services. 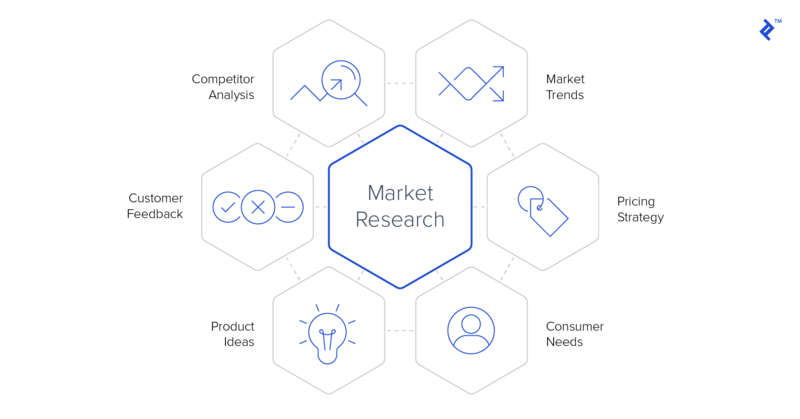 Formalizing the market research process is essential to staying focused on target customers (i.e., keeping the business’ ideal buyer type up to date), discovering underserved customer needs, and staying ahead of competitors. Finding a top market research analyst is no easy task. The ability to assess market research skills comes with experience in the field. This guide is aimed at helping you source such talent effectively. Why Hire a Market Research Expert? Below are some of the most common reasons for retaining a market research expert. Understand your business’ place in the market and relation to your competitors. Even a short-term engagement with a market research expert can yield valuable insights if you’re seeking to better understand your customer base, your competitors, and the market segmentation of spaces that you operate in. The below is an exercise to uncover the key market research questions that will provide the greatest insight about your business in the shortest amount of time. Q: A company engages you for a two-week assessment of their business relative to its competitors in the market. What types of questions would you be able to answer in this time frame that would have the greatest impact on the business’ bottom line? Which products and services do buyers need or want? What factors influence the buying decisions of your customers? Between factors such as price, convenience, and branding, among others, which factors carry the most weight? Which factors don’t matter as much? What prices should you set for your products and services, based on competitor pricing? Who are your business’ competitors? How do they operate, and what are their strengths and weaknesses? If you believe your expert will need to conduct primary research, make sure to take the time required for customer outreach into account. Primary research can include surveys, focus groups, interviewing customers, and field trials or experiments. Secondary research, where experts leverage existing sources to derive insights on the market, is much more common, and more predictable from a timing point of view. Secondary research sources include economic forecasts, census data, and even Twitter. Research a new market to inform your go-to-market strategy. Q: A company is exploring the development of a new line of products to complement their traditional product lines. You are tasked with conducting research that will ultimately be used to inform product development and the go-to-market strategy. How would you structure your research efforts to deliver the most important information needed to make this decision? Understand the company’s current market. What is the market the company currently operates in? What’s going on in the market? What are the industry trends? Here, the expert may leverage data sources such as Pitchbook, CB Insights, or annual reports. Who are the other players? Here, the expert may leverage personal knowledge of competitors from experience or, again, utilize secondary data sources. Platforms such as LinkedIn and Twitter can provide useful qualitative information about competitors. Trends such as growth in followers or frequency of posting can shed light into the state of their current fortunes. Identify the company’s competitive advantage. What is this company good at? What products do they have that are doing well? What unique resources and advantages does the company have? Build a market map to hone in on major market opportunities. What does the market map look like (a visual depiction of all verticals in the industry, with competitors divvied up by competitive strength)? Are there any gaps or opportunities for expansion within the market? How can the company’s competitive advantages serve these gaps? Once opportunities are identified, test out the hypothesis of those opportunities—is there demand for the product? At this stage, the market research analyst may shift to primary research. They will directly ask select customers their thoughts on new products and services. An expert market researcher will be careful to avoid any confirmation bias at this stage. An external freelancer is especially helpful here as they are not incentivized to push survey participants in one direction. Understand how your customers think. When conducting primary research, businesses must be conscious of their customers’ time. As important as this information is to help the business make informed decisions, maintaining healthy customer relationships must also be a priority for purposes of retention and as a general best practice. Prior to reaching out to customers, an expert market research analyst will know exactly the questions that need asking and know the best approach for doing so. Q: After a company has been losing market share to competitors for two quarters, it wants to investigate how a recent run of bad press has impacted its brand image. What approaches could you take to find out the impact? Equally as important as these hard skills, a market research analyst must be a clear communicator, capable of synthesizing the takeaways of their research into an easily digestible report and focusing your attention on what matters. For the purposes of conducting primary research, a market research expert should be comfortable talking to every person touching the organization from executives to suppliers. A skilled market research analyst will have proficiency in the entire MS Office suite (Excel, Word, PowerPoint) and statistical analysis programs. As an added bonus, a market research analyst may have proficiency in programing skills like SQL, R, and Python to really dig into the data. Sources in hand, a market research analyst will analyze the data using techniques such as a conjoint analysis, maximum difference scaling, and multivariate analysis. Once you have found the ideal candidate, make sure to spend the time to adequately onboard the expert to increase the chances of a positive experience and a successful engagement. Rather than ask the expert to explore every possible market that your company could enter in the next five years, limit the breadth of the question by market types (e.g., only markets related to the business’ current core operations) and time horizon (the next twelve months). Or, make a very ambitious ask, but understand that the analysis will necessarily be higher-level. You should understand an expert’s core areas of expertise to make sure they’re a fit for what type of analysis you have in mind. If you decide to hire through Toptal, the interview phase is a good time to determine this. 2. Ensure the market research expert has access and resources. Make it clear to those within your organization that they should support the work of the market research expert to the best of their ability, where it makes sense. The expert may ask for sit-downs with your company’s decision-makers to understand core business challenges, or request a customer database in order to send out a survey. These client-facing activities should be done in coordination with your company’s sales or account management teams to avoid miscommunications. 3. Determine milestones right off the bat. An expert market research analyst should provide you a roadmap for the first few weeks of the assignment. If they don’t, just ask! A clear roadmap helps ensure you start off with similar expectations about deliverables, expected results, and timing. Successful companies use information, not intuition, to drive their major business decisions. Expert market research helps mitigate risk in business decisions by enabling executives to more fully understand how customers perceive their products and services, and how customers compare their business to a competitor’s. Market research can play a part in forecasting inventory shifts and pricing changes as well as exploring new products and markets, all of which translate directly to the bottom line.